The composer responsible for the iconic scores of Fox’s animated hit show The Simpsons’, two-time Emmy award winner Alf Clausen has been fired from the show after 27 years, Variety reported. Clausen, who has been the show’s sole composer since 1990, responsible for its musical parodies and audience favourites – not including the theme song, which was composed by Danny Elfman – told Variety he received a call from producer Richard Sakai telling him that the show was looking for “a different kind of music”. Clausen has won two Emmy’s for his work, not to mention 21 nominations for his music on the show dating back to 1992, writing the music for more than 560 episodes. He is the genius behind well-loved songs such as the Monorail Song from season four, We Do (The Stonecutters’ Song) from season six and the music of season eight’s Simpsoncalifragilisticexpiala(Annoyed Grunt)cious episode – a parody of Mary Poppins. In fact, it’s Clausen’s parodies of musicals (real and imagined) that have been the most memorable, such as a parody of Evita sung by Lisa, as well as hit songs for musical versions of A Streetcar Named Desire – called Oh, Streetcar! – and The Planet of the Apes, titled Stop the Planet of the Apes, I Want to Get off! 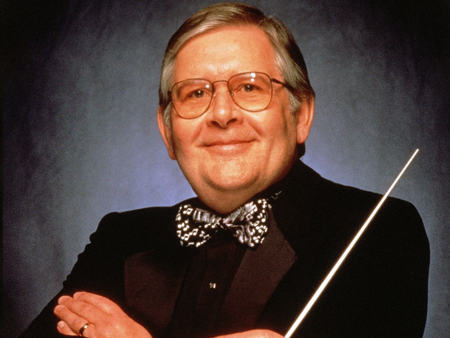 Clausen’s music and orchestrations have been heard in more than 30 films and televesion shows, including The Naked Gun and Ferris Bueller’s Day Off. The report in Variety suggested that the composer’s dismissal was related to cost-cutting measures. Clausen conducted a 35-piece orchestra, recording weekly for the show – something creator Matt Groening has insisted upon since the show’s genesis in 1989. It is unclear who will be scoring the show’s 29th season, which will air in October.